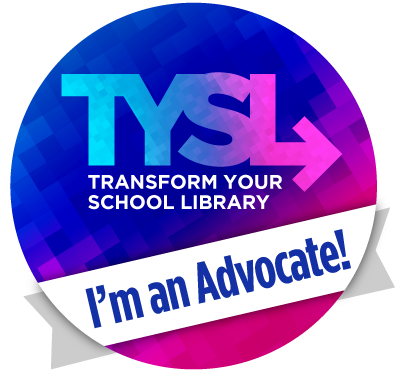 Lessons from a Laughing Librarian: What Was I Thinking? For the last few years to promote my Bluebonnet program, I have offered 3 raffle prizes for students who read more than 5 books. For each book over 5 they earn a raffle ticket and can place it in the box of their choice. Each of the 3 prizes connects or represents one or more of the books in some way. I have raffled things like Spurs jerseys when "Mathlete vs Althlete" was on the list. When "The One and Only Ivan" was nominated I had a giant stuffed gorilla. This year, when brainstorming with my fellow partner in crime, Natalie Watts (@readdancetweet), she came up with the idea to raffle a hamster- not a stuffed one, but a real, live one! So what do all good friends do? Copy their friend's great ideas. 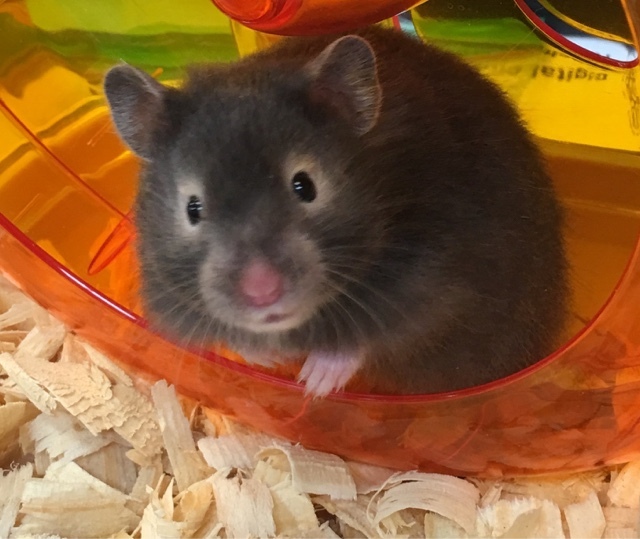 So I spoke with my principal to see if she was ok with us keeping a hamster in the library until January and then raffling it off to a student that had parent permission to win the hamster. We got the hamster and cage last week and he/she has been a huge hit! 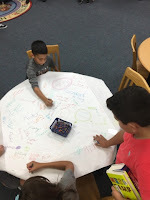 I don't have a name yet, so the students have been suggesting ideas on butcher paper. We have gotten names like Eyeball, Snowflake, Olaf and Caitlin from Kinder. And Fluffy, Dump Truck, Hammy and Rider from other grades. I will pick a name and announce it on the announcements on Wednesday. 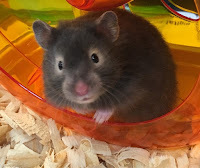 While he has caused quite a commotion this week, it has been really fun to see the excitement and wonder of all the students as they come to check out books and watch the hamster for a few minutes. Even when he is sleeping, they talk to it and ask questions about it. So I'm not really sure what I was thinking when I decided to bring a hamster into my library, but I can't wait to see what other opportunities it sparks.